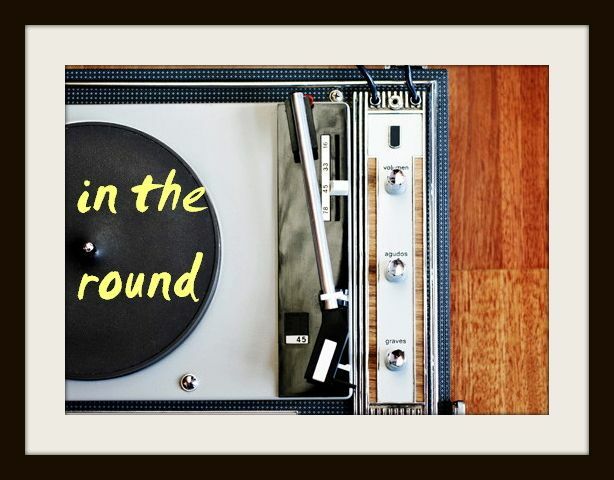 In The Round: A Favourite Song: Lana Del Rey's "American"
Although this particular song isn't really new, I figured I should post about it, seeing as it's been a long time since I've fallen so in love with a tune. I don't know what it is about Lana Del Rey's old Hollywood-like theme songs - and I've closely followed her career from the very get-go - but with each new release, I really do enjoy her more. Despite the fact that her music continues to spawn so many predictable elements - vampy vocals, theatrical, patriotic lyrics and anthemic melodies - she manages to add delightfully to her self-proclaimed "gangster Nancy Sinatra" (a moniker that, despite making no sense, somehow makes bits of sense) sound with each cheeky plea. On "American," which was released with her Paradise Deluxe Edition in late 2012, the longing starlet is airy and vulnerable again - telling the familiar story of falling starry-eyed in young love with an idealistic rebel. The lyrics, cooed like a short storybook in their nostalgic narrative, are carelessly liberating, as usual ("Be young, be dope, be proud") - but it's hardly the foreseeable messaging that gets me. It's the gorgeous melody - transitioning between triumphant moments and delicate, shimmering ones - that's so dreamy and brilliant from start to finish. Well, and the fact that she says, "Springsteen is the King, don't you think?" Extra points, always. I also think the notes of this song bear an uncanny (like, uncanny) resemblance to Hans Zimmer's Pearl Harbour score, which I was always pretty taken by. Right?